Syrian violinist and composer. Studied classical and Arabic music in the Higher Music Institute of Damascus. Shalan masters both genres playing and composing. Wrote and arranged music for a plenty of orchestras, ensembles, singers, films and TV shows. Plays among others with GFVP (Gent Folk Violin Project), Olla vogala, EPO (Expat Philharmonic Orchestra) and Damast Duo. Graduated from the classical kemenche at the Musical Performance Department of Istanbul Technical University Turkish Music Conservatory. She has been active as a guest performer at Istanbul State Ensemble of Turkish Music Research and Performance. Furthermore, she was entitled to receive Achievement Award in classical kemenche category of the Young Musical Performers Competition held by the Turkish Ministry of Culture and Tourism. As one of the founders of the promising music groups called ‘Arfana’, ‘Şimdilik Trio’ and ‘Savt’, she continues to record albums with them. Canfezâ has been performing numerous concerts – both solo and in group – and conducting seminars all over the world. An outstanding Turkish kanun player, born in a musical family where he inherited the musical tradition. Müslüm has been touring the world as a soloist. In addition to stage work, his name is related to numerous studio recordings. He performed and recorded with Tarkan, Sezan Aksu, Kibariye and Selami Şahin. Müslüm teaches kanun and conducts regular workshops in turkey and outside. Lara has a Master degree in jazz bass. She studied in Leuven (B) with two of Belgian greatest bass players Nicolas Thys and Jos Machtel. In Sweden she had classes with Anders Jormin and worked with him on her master thesis about ‘composing as a key to self liberation’. Lara is a poet on her bass, she works in cross-over styles from traditional african music to americana (Old Salt), studio-orchestra (Room 13) and accompanying sing-and-songwriters (Helder, Barnill Brothers). She has worked with Zap Mama, Chris Joris, Pierre Vandormael and many more from jazz and beyond. Syrian educator, producer, composer and Percussionist, living and working in Belgium. Firas had his Master degree in contemporary studio performance from Berklee College of Music 2013, Valencia campus. Since 2015 he works as percussion teacher and chief department in Popakademie Baden-Württemberg, Mannheim, Germany. Took part in a lot of recording sessions. He composed music to Sandstern film by Yilmaz Arslan. He recorded the percussion section for Ask Your Mama which received 3 GRAMMY nominations. Founder of the Arabic Music Academy Belgium. Syrian composer and oudist, lives in Denmark. Studied both classical Arabic and Western music in The Higher Institute of Music in Damascus. 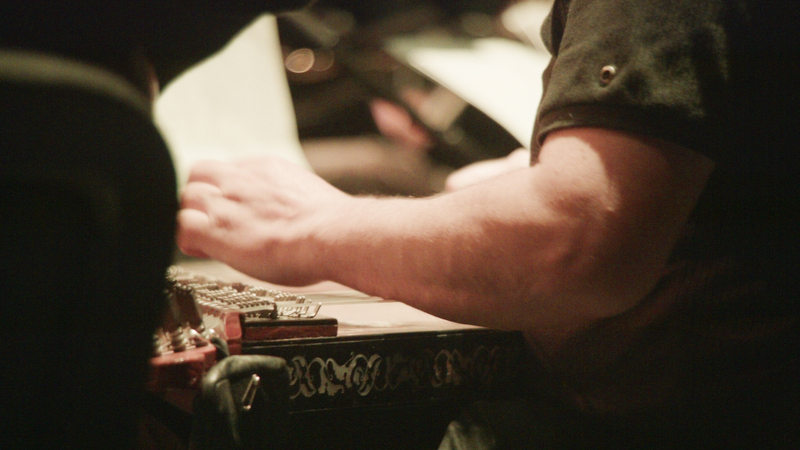 Composes and arranges music for a wide variety of settings and ensembles. He is involved in world music and discovering new sounds on the oud and additionally, experimenting with different styles of contemporary music. Worked with different bands and artists in Denmark, UK and around Europe – among others are Damon Albarn and Brian Eno, Dunia Ensemble, Grænseløs, Dicte, JSO Bremen-Nord Philharmonic Orchestra, RUM, Blood-Sweat-Drum & Bass big band, S. Møller Big Band, Aarhus Jazz Orchestra, Listen! Trio, Nouri Iskandar String Quartet and Li Dine and The Syrian Expat Ensemble. Syrian saxophonist – Clarinetist and Composer, living and working in Berlin/Germany. Studied classical and jazz music in the Music in Al-Baath University, and The Higher Institute of Music in Damascus/Syria. His compositions represent a new style in mixing Arabic and jazz Music, with a very unique approach to quarter tone and developing and playing them on saxophone. He has been involved in many ensembles and bands where he experimented mixing Arabic music the Jazz forms. Belgian violinist and educator, studied jazz violin in the Royal Conservatory of Brussels. She has master’s Jazz & Light Music violin from the ArteZ conservatorium in Arnhem (the Netherlands). Very active as a classical, folk and jazz violinist. Plays in many ensembles and groups like Ghent Folk Violin Project, Kora Strings, ‘t Muziek Frascati, Transpiradanza. In the summer of 2013 she did a project of Eva De Roovere with concerts at, among others, Festival Dranouter. Belgian musician and composer, plays a wide range of musical styles on piano and accordion. Since leaving his law practice behind, he has toured Europe, China, Congo, and South-Africa with world music orchestras such as Les Busiciens, Olla Vogala, and Transpiradansa. He has also been involved in various theatre productions as a multi-instrumentalist and actor. Plays with Damast Duo, BlindeVink and is resident pianist on Radio 2’s satiric programme “De Rechtvaardige Rechters”. He also is a certified Soundpainter and an experienced music teacher (Ethno, AKDT, Muziekpublique). She had her Masters degree in The Department of Turkish Music in Istanbul Technical University (ITU) State’s Conservatory (2009-2012) and is currently a doctoral student in The Department of Musicology and Music Theory in ITU. Selda sings in Turkish, Arabic and Kurdish. Tammam Alramadan is a Syrian Ney player and teacher of Ney, living and working in Belgium. Studied in the music school of Aleppo, and worked after graduation in the same school as a ney teacher. Tammam is involved in many bands and projects such as; Ramal, Wajd band, Refugees for Refugees, Violet, Broukar, Nebras and he played on eminent venues in Syria, Lebanon, Turkey, France, Switzerland, Poland, Norway, Denmark, Germany, the Netherlands, Sweden, Malaysia, and Belgium. Belgian violinist, teacher and arranger, leads various musical projects that integrate the traditional repertoires within original formation mixing the jazz, rock and classical music, and highlight traditional heritage and the dialogue of cultures. He plays and arranges for N’faly Kouyate and Dunyakan (Guinea / Belgium), Tanar Catalpinar (Turkey / Belgium), Dominique Ntoumos “Back to roots” (Greek funk fusion), Nawaris (Irako-Belgian). He also plays rebetiko with Ioannis Sarris in the band Vinylio Rebetiko Blues. In addition to his productions, Nicolas Hauzeur was during 10 years artistic director at the AKDT of Libramont-Neufchâteau (2006-2016), currently he heads the Brussels Balkan Orchestra. He teaches Balkan music and organizes workshops in the Balkans in Greece, Bulgaria and Romania.